Bauer Vapor 1X Composite Hockey Stick - 2015 - Junior is rated 4.4 out of 5 by 8. The latest installment in the history of Bauer hockey sticks is the Bauer 1X, born out of the Vapor line. The Vapor 1X is the culmination of all of Bauer's best stick technologies, new and old. It features the classic Vapor low kick point, but also sports a new and improved look, as well as an all-new taper system from Bauer. 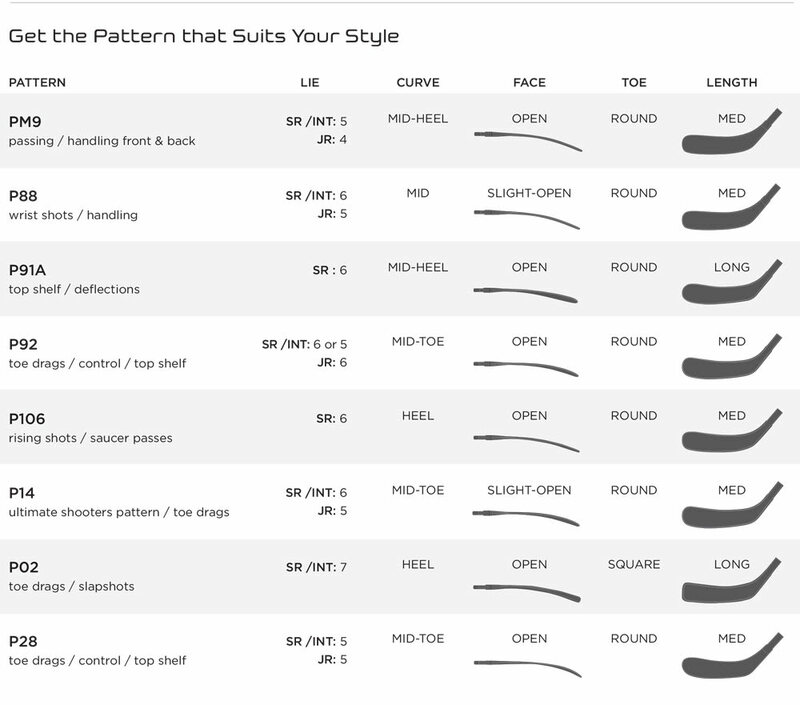 Bauer is consistently modifying and developing its stick technologies, looking for any way to improve performance. 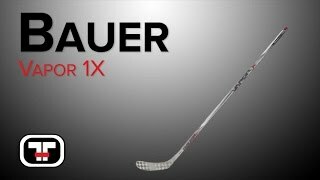 The Bauer Vapor 1X stick is the newest stick of their Vapor line and you will see that Bauer has updated the design several ways. First is Bauer's new Quick Release Taper (QRT) technology, which is a different look from past years. This taper from Bauer is aggressive to increase your shot quickness, giving you the ability to get off a wrist, snap, or even quick slapper with little effort. Bauer's Aero Sense 2 Blade is featured on the Vapor 1X, and this Sense Layer is fused to the actual TeXtreme composite of the blade to eliminate materials and lighten the weight of the blade. Just like in previous Vapor sticks, the Vapor 1X will feature Bauer's Pure Shot Blade Profile that describes the thickened hosel area that is meant to give your shots more support by eliminating the torsional rotation of the blade during a shot. Rated 3 out of 5 by KCHEMR from Good quality but very short Beware, my child used a CCM junior stick which we cut down 2”. This stick was a replacement for the CCM , it is a good 2” shorter than the CCM which had been cut down. Had to return to get a taller stick. Rated 4 out of 5 by frankadocious from My son loved the stick Great stick however it was broken in a game two weeks later so I am shipping it back to Pure Hockey today and they are sending a new one because it was within 30 days. Great service from Pure Hockey. Rated 3 out of 5 by ssjeni2 from Shorter than our other jr sticks. I was a little disappointed that the stick was shorter than all four of our last jr sticks outwork being Bauer. Rated 5 out of 5 by hat trick 9 from Awesome Product Great stick, good release. Excellent stick handling. Has good power, good for any position. ill ask again. Is this a mid kick or low kick. is this a low kick or mid? thought 1x was low kick description says mid kick. Junior model. Hello, This stick is approximately 345 grams. How many inches is this stick? This stick is approximately 50 inches in length.